What do Gisele Bundchen, Adriana Lima, and Halle Berry all have in common? They all use Vitamin C serums as a part of their skin care routines and credit the serum for their seemingly ageless skin. They aren’t wrong, either. A potent and expertly formulated Vitamin C serum has the potential to transform your skin rapidly. Unlike many skin care ingredient trends, the benefits of Vitamin C serums are proven and well-documented. Vitamin C is naturally found in our skin and it works in three major ways: to protect the skin from UV sun damage, to brighten the skin and reduce pigmentation, and to increase collagen production (thus, reducing wrinkles). There are many additional benefits of topical Vitamin C usage (such as inflammation reduction, increased skin hydration, and increased healing time), but these pale in comparison to the three major benefits previously mentioned. All things considered, just about every skin type can benefit from the addition of Vitamin C in their skin care routines. The effectiveness of a Vitamin C serum really comes down to choosing the right product. Before purchasing a Vitamin C serum, there are three important things to consider: the type of Vitamin C, the additional ingredients in the formula, and the concentration of Vitamin C.
While Vitamin C is a wonder ingredient, there are some downsides. Pure natural Vitamin C (known as ascorbic acid) is highly unstable when mixed into a water-based formula. Since just about every product contains water, this creates a problem. Once ascorbic acid degrades, it is no longer effective and can even cause skin irritation. As a result, many skin care manufacturers have turned to synthetic forms of Vitamin C. Typically, the word “synthetic” scares a lot of skin care advocates (especially those use natural + organic products), but in this case synthetic isn’t all that bad. Synthetic Vitamin C types are more stable than ascorbic acid, can be absorbed by the skin, and have not been shown in laboratory tests to cause toxicity or damage to the skin. Common and effective types of synthetic Vitamin C include L-ascorbic acid (the best synthetic form), magnesium ascorbyl phosphate, ascorbyl palmitate, Vitamin C esters, sodium ascorbyl palmitate, and sodium ascorbyl phosphate. Occasionally, a product may also contain ingredients like vitamin E and ferulic acid to help stabilize Vitamin C.
If you want to avoid synthetic forms of Vitamin C, you have another option: whole Vitamin C. Whole Vitamin C contains ascorbic acid plus all of the other natural components of Vitamin C including natural enzymes and bioflavonoids. You can get whole Vitamin C naturally from sources such as rosehips, sea buckthorn berries, amla berries, citrus fruits, marula oil, pomegranate seeds, and similar fruit sources. A serum which contains high quantities of these natural Vitamin C sources doesn’t need fillers, stabilizers, or other ingredients in order to be effective. Some people even argue that whole Vitamin C absorbs better than synthetic versions, has a lower risk of irritation, and offers more nutrients. Vitamin C Concentration: Does it Matter? Often, Vitamin C serums will boast about the concentration of Vitamin C contained in the product (anywhere from 10-20%). Studies have shown that the proven effective range of Vitamin C is between .3% and 10%. Higher concentrations of Vitamin C can cause irritation and may not be necessary to achieve results. Additionally, some forms of Vitamin C (like sodium ascorbyl phosphate and whole Vitamin C) are easily absorbed by the skin and can deliver the same results as a 20% solution but at a much lower concentration. On the other hand, some forms (like ascorbic acid polypeptide and ascorbic acid) can be irritating at high concentrations. All in all, concentration isn’t all that it is hyped up to be. Instead, look for a well formulated product with a lower concentration (2%-10%) to start to avoid irritating your skin. Additional Ingredients: What Else Is In Your Serum? While the form of Vitamin C is important, you should pay very close attention to the other ingredients used in the formula. It is vitally important to evaluate the entire product before purchasing. Why? Because you could be paying for junk. 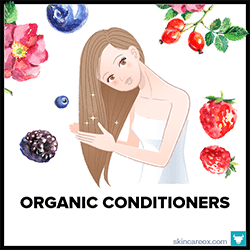 For example, a product may contain a great form of Vitamin C at a high concentration, but it may also contain cheap, potentially toxic, and irritating fillers like propylene glycol + butylene glycol (classified as an irritant (source)), alcohols, phenoxyethanol (a preservative that can cause severe allergic reactions and eczema(source)), and host of other not-so-good ingredients. Not only are these ingredients irritating and cheap, some of them can also be damaging to your skin and health. Ingredients like parabens, phthalates, and petroleum by-products like propylene glycol have been shown to cause hormonal imbalances and even cancer. This isn’t about fear tactics—this is scientifically proven and many of these chemicals are banned from cosmetic use in other countries. Some of the MOST popular Vitamin C serums on the market today contain propylene glycol and fillers as their first ingredients. Do you really want to pay for ingredients that do nothing for you skin and may even be harmful? For more information on how to choose the best Vitamin C serums, check out our Simple Guide to Vitamin C Serums at the bottom of this page. We include info on how Vitamin C serums work, what ingredients to look for, and which to avoid. We even break down which Vitamin C types and serum ingredients are best for each skin type. We researched hundreds of Vitamin C serums to bring you the 13 most effective products available. 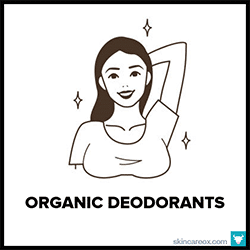 Not only did we look for products that actually work, but we also excluded any product that used cheap ingredients that are known to be toxic and irritating like Parabens, Phthalates, Sulfates, PEG compounds, Petrochemicals & Mineral Oils, Ethoxylated Ingredients, as well as Synthetic Fragrances & Colors. The result? This list of Vitamin C serums is by far the best around. You can rest assured that these products are clean, non-toxic, and very effective at delivering a potent blast of Vitamin C to your skin. You can even filter the list by skin type, price, and ingredient quality. Enjoy! Still unsure of which vitamin C serum will work best for your skin? Then, try our Ox Box! It’s a seasonal subscription box filled with the best organic skin care products hand-picked for your specific skin type and needs. A gentle organic + natural Vitamin C serum that combines two stable forms of Vitamin C together (magnesium ascorbyl phosphate and ascorbyl palmitate) to create a really effective solution. It's made with lots of moisturizing ingredients like hyaluronic acid, red algae, and brown algae which make this a great serum for dry skin types. It also contains additional antioxidants like green tea and turmeric for help fight fine lines and wrinkles. 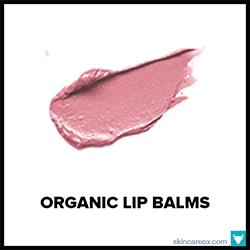 The consistency is luxurious and it absorbs quickly into the skin without stickiness. This serum contains no harmful chemicals, irritants, or fragrances. A really nice, natural, and gentle Vitamin C serum that is packed with Vitamin C (in the form of sodium ascorbyl phosphate), as well as ingredients which synergize and boost the properties of Vitamin C like vitamin E, ferulic acid, and hyaluronic acid. It's non-sticky, absorbs fast, and leaves skin feeling really moisturized. Additional ingredients include clary sage (balances oil production), chamomile (soothes skin), grapefruit (mild exfoliant), and konjac powder (vitamin rich). A great solution for acne-prone skin, dry skin, discoloration, and those with sensitive skin. This is a really unique Vitamin C formula! While L-ascorbic acid is a great form of Vitamin C, it has some downsides including instability when combined with water and it can cause mild irritation at high concentrations. True Botanicals works around these downsides by creating a powder formula (no water) made with just L-ascorbic acid powder, ferulic acid powder, and tapioca starch. All you have to do is mix a little of this powder into water or your favorite serum and apply the fresh Vitamin C to your face. It is very effective at boosting collagen, brightening skin, and treating wrinkles. A great Vitamin C serum that is crafted from 100% natural and 88% organic ingredients. It uses ascorbyl palmitate as Vitamin C and combines that with skin-boosting botanicals like green tea (antioxidant), rosehip oil (brightening), acerola fruit (more Vitamin C), seabuckthorn (contains fatty acids for hydration), and shea oil (moisture) just to name a few. It also contains a bit of vitamin E which synergistically boosts the potency of Vitamin C. It's a lovely non-sticky serum that absorbs fast. A little goes a really long way, so you'll be using this bottle for months to come. If you're using a Vitamin C serum in order to treat dark spots, hyperpigmentation, or a dull complexion, then this may be the serum for you. This formula uses a stable form of Vitamin C that can easily penetrate the skin (ascorbic acid polypeptide). On top of that, ingredients like rosehip (brightening), aloe (anti-inflammatory), rose oil (redness reduction), and aspen bark (mild exfoliant) all work together to create an even toned complexion. The serum is super light-weight and absorbs effortlessly into the skin. 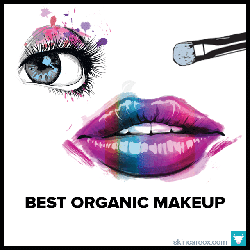 Best of all, it contains 100% natural and 84% organic ingredients. This natural formula uses tetrahexyldecyl ascorbate as its form of Vitamin C. This is a very stable form of Vitamin C which behaves similarly to L-ascorbic acid (the premium form of Vitamin C). As a fat-soluble form of Vitamin C, it is noted that it may be more easily absorbed by the skin than water-soluble forms. The wonderful thing about this formula from Eminence is that is also contains natural ingredients which are great for reducing inflammation (for rosacea) and brightening the skin (for dark spots). These ingredients include rosehip seed oil, seabuckthorn oil, rosemary leaf, and jojoba oil. This 100% organic Vitamin C serum works a bit differently than other serums. Instead of isolating Vitamin C (which can be unstable and requires additives and stabilizers), this serum contains natural fruits and oils that are packed with Vitamin C. Thus, it is a very gentle formula that is ideal for those with sensitive skin. It is made with ingredients like marula oil, pomegranate seed oil, Bulgarian rose oil, and lemon verbena which not only contain high amounts of whole Vitamin C, but they also contain potent antioxidants, fatty acids, and other natural compounds to nourish the skin. A fantastic Vitamin C serum which uses a stable form of Vitamin C (magnesium ascorbyl phosphate - MAP), contains no fillers, and does not contain any potentially irritating or toxic preservatives. Although this product doesn't list the concentration of Vitamin C, MAP is the 2nd ingredient behind to organic aloe vera gel--which indicates that the serum contains a lot of Vitamin C. The formula is all-natural, non-sticky, absorbs very quickly, and does a fantastic job of instantly brightening the complexion. The ingredients are all-natural and gentle enough for sensitive skin types. Made with 70% organic ingredient, this organic Vitamin C sheet mask is a super fun and relaxing way to treat your skin. The mask feels really good on the skin and is easy to apply. It's a totally clean formula made with natural ingredients like lemon, Vitamin C (sodium ascorbyl phosphate), hyaluronic acid, pomegranate extract, rosehip extract, and lavender extract. After cleansing, simply apply the mask for 20-30 minutes, remove the mask, and then massage the remaining serum into your skin (no rinsing). After 30 minutes, you should notice brighter, tighter, and more moisturized skin. Flower power to the rescue! This serum uses highly stable Vitamin C esters along with vitamin e to support your skin's collagen production. For formula is designed to calm irritated skin, fade blemishes, and brighten the complexion. It's a really unique formula made from CoQ10 (antioxidant), fatty acids (helps with cell regeneration), and licorice (calms irritation). It also contains botanical form of Vitamin C from pumpkin seed, prickly pear, rosehips, and cranberry seed oil. Although this is a rich oil, a little goes a very long way (just 1 or 2 drops is enough for your whole face). An all-natural Vitamin C serum that uses L-ascorbic acid. Typically, L-ascorbic acid can be quite unstable, but this serum contains ingredients like ferulic acid and vitamin E which help to stabilize it. Additionally, these two compounds also boost L-ascorbic acid's antioxidant and sun protection powers. Together they create a potent anti-aging Vitamin C serum. The product has a nice consistency and absorbs easily without leaving a sticky residue. 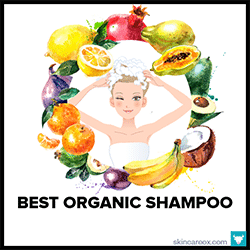 It also contains lots of great beneficial ingredients like green tea, neroli, lavender, astaxanthin (a very powerful antioxidant), and probiotics. If you're looking for a natural Vitamin C moisturizer, then look no further than this cream. This moisturizing Vitamin C facial cream is USDA certified organic and contains only 100% natural ingredients (no fillers, fragrances, or harsh chemicals). It uses fruit-based Vitamin C from acerola cherries (one of the richest fruit sources for Vitamin C) which makes this formula very gentle and great for sensitive skin types. Other skin nourishing ingredients include turmeric powder, calendula oil, safflower oil, chamomile, and alfalfa. It has a silky texture that absorbs quickly. We're typically cautious about products with thousands of reviews on Amazon, but we checked this product out via Fakespot (a tool that identifies fake reviews) and it passed with flying colors. This 20% Vitamin C serum combines a stable and gentle form of Vitamin C known as sodium ascorbyl phosphate along with botanical hyaluronic acid to form a potent anti-aging solution. It's great for treating acne, age-spots, discoloration, and wrinkles. One downside? The product contains a small amount of phenoxyethanol as a preservative which has been linked to allergic reactions and irritation. Vitamin C can become unstable when exposed to air + light. 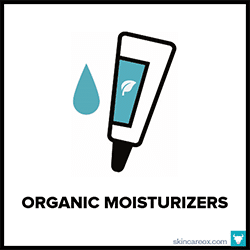 Only purchase serums that are packaged in dark, airtight, pump containers. Look for formula’s that include Vitamin E, ferulic acid, and hyaluronic acid. These ingredients work synergistically with Vitamin C and help to stabilize it. If you are worried about skin irritation, try a low-concentration or whole Vitamin C serum to start. There are many different forms of Vitamin C available. Since natural Vitamin C (ascorbic acid) is quite unstable and easily degrades (making it less effective and irritating), many new forms of Vitamin C have been synthetically created in an effect to provide greater stability. While many of them are great, they all have their benefits and downsides. For example, some forms of synthetic Vitamin C can absorb deeper into the skin than others. Additionally, some forms of Vitamin C are better at protecting against the sun’s UV rays than others. Before you purchase a Vitamin C serum, review our guide below to ensure that the type of Vitamin C you are buying is right for your skin type and desired outcome. Pure, whole Vitamin C that has not been chemically altered. Derived from natural sources such as plants and fruit. Contains all naturally occurring Vitamin C compounds including phytonutrients, bioflavonoids, and natural enzymes. Whole Vitamin C is great for all skin types—especially sensitive skin. Clinically proven to protect from UV damage, increase collagen, and reduce skin pigmentation. Not available in super high concentrations. Natural, water-soluble form of the Vitamin C molecule that has been isolated from the other compounds naturally found in whole Vitamin C. Considered the best form of topical Vitamin C if formulated correctly. Ascorbic acid and L-ascorbic acid should be avoided by sensitive skin types at high concentrations. Clinically proven to increase collagen, reduce pigmentation, and protect from UV damage. Synthetic, water-soluble forms of Vitamin C that is very stable and effective. Safe and effective for all skin types —including sensitive skin. Synthetic Vitamin C. While most forms of Vitamin C are water soluble, ascorbyl palmitate is a fat/oil soluble form of Vitamin C.
Because this form of Vitamin C is usually present in an oil-based formula, it is best suited for dry skin and sensitive skin types. A fat-soluble, synthetic form of Vitamin C that is very similar to L-ascorbic acid. Because of it’s fat solubility, it is said to easily penetrate to the deeper layers of the skin. 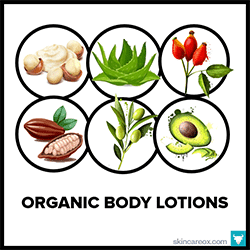 Great for all skin types—especially sensitive skin. A synthetic, water-soluble form of Vitamin C that may convert to ascorbic acid once absorbed into the skin. Should be avoided by sensitive skin types at concentrations above 1%. In addition to the type of Vitamin C used in a serum, you’ll also want evaluate the entire formula to see if it includes ingredients that are great at treating your particular skin conditions. These additional ingredients work synergistically with Vitamin C to provide greater results. Many popular Vitamin C serums are filled with cheap fillers, irritants, and chemicals that could be harmful to your skin and health. There are dozens of potentially bad chemicals that should be avoided in skin care (think petroleum byproducts & carcinogens); however, a few naughty chemicals seem to be more common in Vitamin C serums. Does your Vitamin C serum contain any of the following not-so-great ingredients? Propylene glycol (also known as PG) is commonly derived as a petroleum byproduct and can be found in a variety of liquid skin care products as well as antifreeze, brake fluid, and paints. It is used as a solvent, stabilizer, and humectant in many beauty products. PG enhances the penetration abilities of other chemicals allowing harmful chemicals to further into your skin and bloodstream than they could on their own. The Environmental Working Group notes that PG use has been linked to contact dermatitis and irritation in humans. While PG can prevent moisture loss by creating a seal over your skin, it can also make your skin drier by drawing moisture from the deeper layers of your skin towards to the top-most layers. Parabens are inexpensive preservatives which have been used since the early 1950s to prevent against bacteria, mold, fungus, and even parasite growth in a wide range of cosmetic products. There are a few major concerns with parabens: (1) studies have shown that these chemicals can in-fact be absorbed through our skin and into our bloodstream where they then nestle and accumulate in our cells, (2) parabens are xenoestrogens, meaning they can mimic estrogen in the body and disrupt our natural hormonal balance, and (3) in 2004, British researchers discovered parabens within breast cancer tumors, leading to a fear that there may be a link between paraben exposure and breast cancer. Phthalates are a group of chemical plasticizers used as lubricants in a variety of beauty products such as nail polish, detergents, toys, shampoos, creams, and moisturizers. Several studies have shown that phthalates act as endocrine disrupters and have been linked to male and female reproductive defects, asthma, ADHD, breast cancer, and even diabetes. The problem with phthalates is that they are often hidden on ingredient labels under vague terms like “fragrance.” For this reason, it is best to avoid products that use synthetic fragrances. 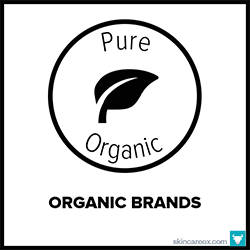 Phenoxyethanol is a very common ingredient used as an anti-bacterial preservative in cosmetics. It has been linked to causing severe eye and skin irritation as well as severe allergic reactions and eczema (source). Repeated long-term exposure to this chemical can cause organ damage in adults and long-term nervous system function reduction in breast-feeding infants (source).